Notes from the Wild guys! On the nose there are distinct yet light and fresh notes, sage and eucalyptus, in harmony with a strong depth. The palate is an elegant balance of deft sweetness and pronounced alcohol starting with a light vanilla, mango and banana, smoothly developing into the burnished, rich nuttiness of ripe asparagus and herbaceous eucalyptus. Light anise and camphorous ginger come to the front before softening into a long, pleasant, almond and butterscotch finish, carefully holding just long enough to leave a light spicy and floral resonance. The Wild Geese Premium flies best Straight on ice. 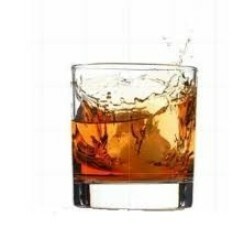 Just ad ice and Wild Geese Premium Rum in a nice glass and enjoy!